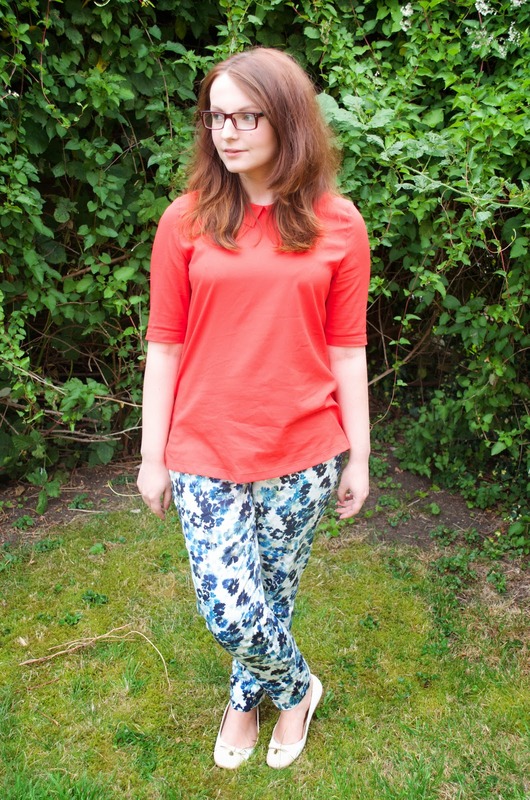 Ever since SS14 came around the corner I have been loving all things colourful and bright. I am also a sucker for anything floral so flowers and bright colours are always in my basket when I am shopping, whether that be in-store or online. 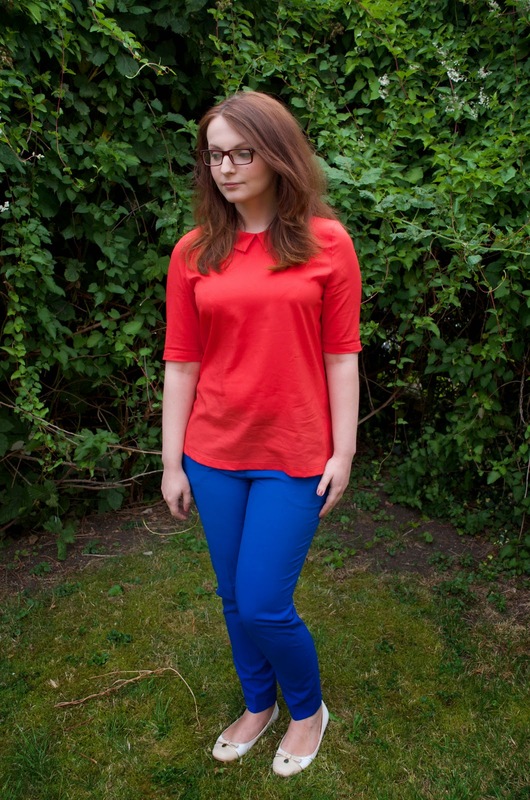 Here I am sharing my colourful trousers and debuting the first pictures of myself on my blog! 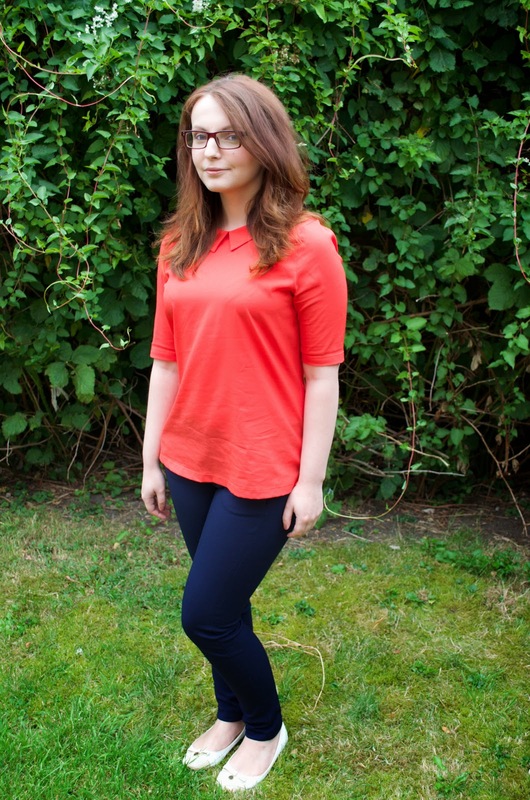 The navy blue pair are so comfortable they could be pyjamas! They are a denim - slash - trouser material and can be worn with everything. The floral print trousers are a thicker trouser material with a kind of "smudged" print. Finally, the cobalt blue trousers are your typical work trouser material. FYI if you are going to buy these ones then I advise sewing, or getting someone who knows how to sew, over the stitching of the crotch. The seams are loose on two pairs of these I have tried and no one wants to end up walking around in ripped trousers. Both the floral print and cobalt blue trousers are also a perfect length for me and I am only 5ft 2in, so if you are taller (or average height) they may be cropped. Unfortunately I can't find the Zara ones now the sales have started but I have linked similar some similar.